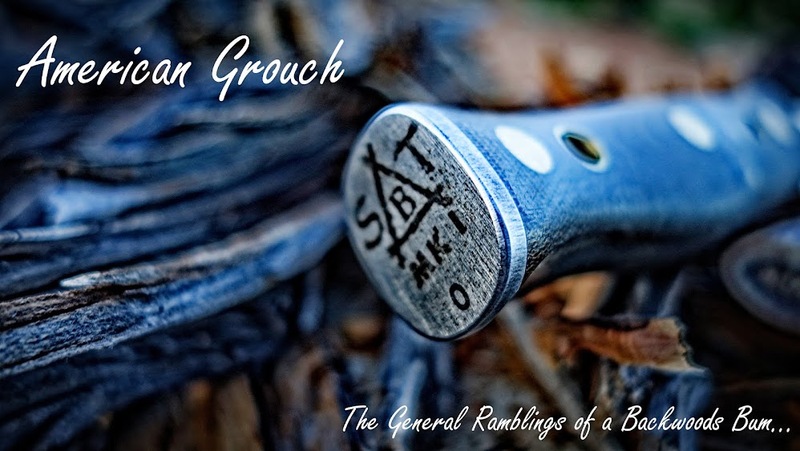 American Grouch: Changed my mind, switching from dedicated GPS to a smart device. Changed my mind, switching from dedicated GPS to a smart device. Three years or so ago I was a die hard dedicated GPS user. Up to that point I had not been impressed with GPS utilization via a smart phone. 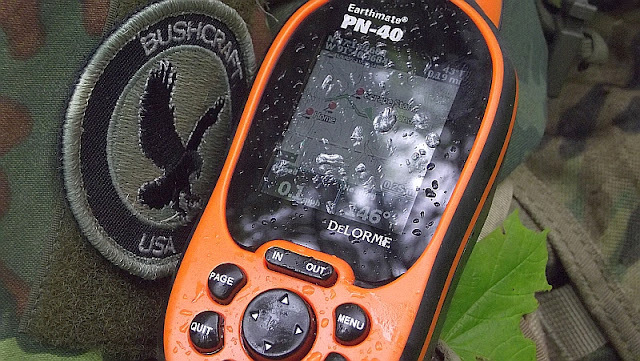 Between battery life and durability as well as the mapping sets available vs Garmin and other providers like DeLorme. That has changed. Late last year I migrated to a new phone and converted my old Galaxy Note 3 to a dedicated back country tool that goes beyond GPS. The beginning of my mind changing happened when I dropped my Note 3 to the bottom of a lake during duck season, it took me eight to ten minutes to find it on the mucky bottom. Once recovered I realized the device was still working, to my amazement, so I shut it down and once back to the lodge I disassembled it and laid it out to dry. After drying I fired it up and it still works today, two years later. Prior to this I had my doubts about a smart phone surviving me while in the wild. I'm pretty rough on stuff and expect it to fully function regardless of environmental issues or me. I'm not a fair weather only wilderness bummer, in fact I'm more inclined to be out in inclement weather than fine weather. So I expect my stuff to function in less than ideal conditions. Garmin 62s was my primary GPS tool for a number of years, all around it was a great unit. I used the old Earthmate PN-40 for a while as well, though battery life was terrible. After experiencing the dunking of the Note and it surviving my concerns over water resistance were somewhat abated. That left drop durability and general exposure concerns and mapping tools used for trip planning and digital exploration. 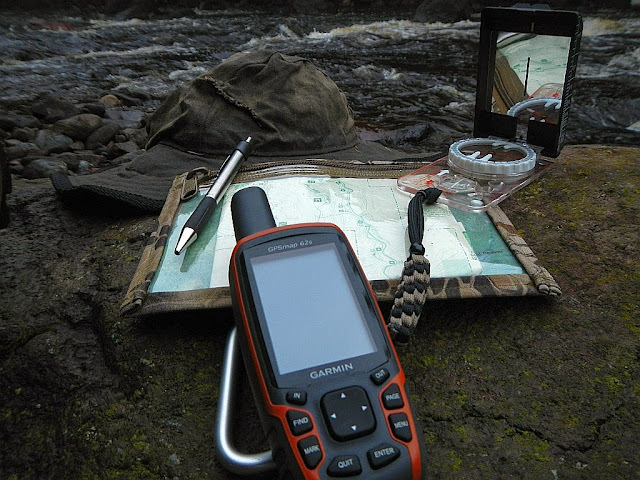 I've used both Delorme and Garmin's mapping tools, I prefer the Delorme version for trip planning. 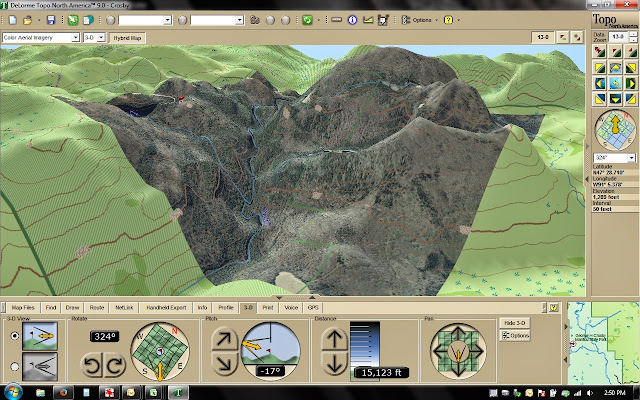 The software was quite robust and offered great tools to visualize the terrain. However it lacked some feature sets that I found I really liked when I got to using Caltopo. 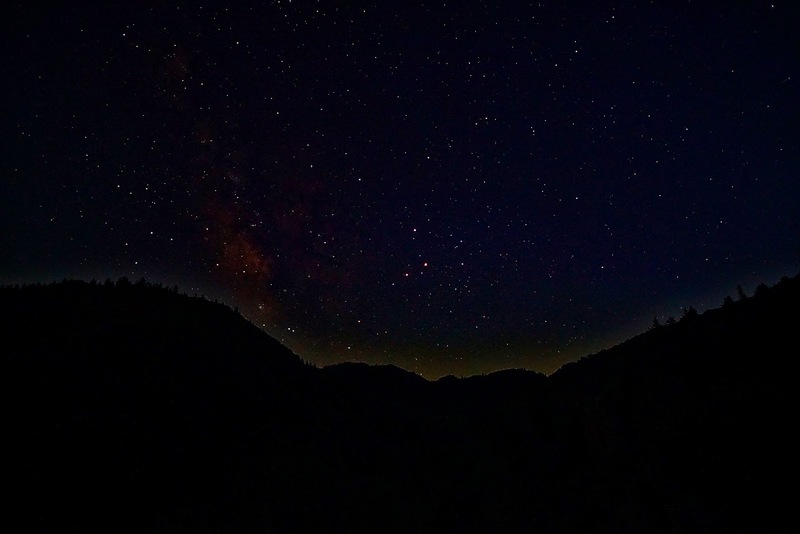 If you spend any time at all in the back country you've probably at least heard of Caltopo. I could spend a lot of time on it, suffice it to say it's worth your time. So with Caltopo becoming a primary mapping source for me I was migrated away from Garmin and Delorme as mapping tools. Along about this time I also found Backcountry Navigator. I'll say up front that I am NOT a iOS guy, not a Apple fan and so I know little to nothing about mapping tools/apps that are compatible with Apple devices, Backcountry Navigator is a android app only. One of the map sources that BN uses is Caltopo, this was a natural fit for me. Since almost all of my planning and digital exploration was in Caltopo and since BN uses that it makes for a great fit. I've since fully moved on from all other map software, Backcountry Navigator and Caltopo make a perfect fit for me. 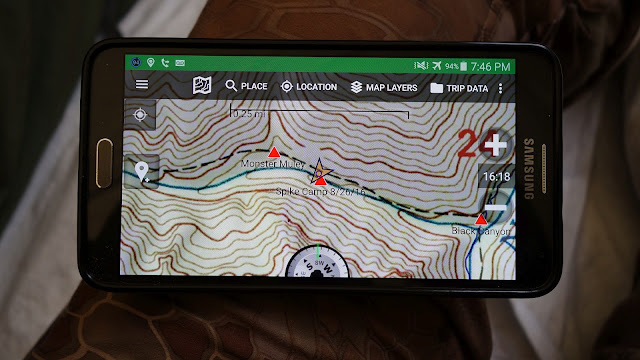 Note 3 with Backcountry Navigator and a Caltopo map layer. Again, I could write and entire post on Backcountry Navigator, if you're interested in it there are a lot of resources out there that communicate the features better than I. So with mapping tools being superior for my uses by way of Caltopo and Backcountry navigator and the durability concern having been at least partially address I was left with battery life or lack there of as the final concern to be address. Now there are some ways to improve battery life found within what you run on the device as well as settings that can decrease battery drain. 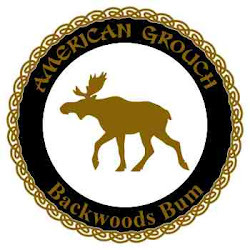 One of the benefits of Backcountry Navigator is that you can download the map tiles of the area you are going to be spending time in thus there is no need to have an internet connection. Basically just run it with GPS on and you can navigate just fine. As a side note, I should also point out that the Note 3 had the ability to run additionally memory in the form of an SD card. Between the on board and the external memory I've got 64 GB of memory available. That's a lot of maps! Beyond the settings and modes of operation to improve battery life there are also external battery packs, cases etc that are available. 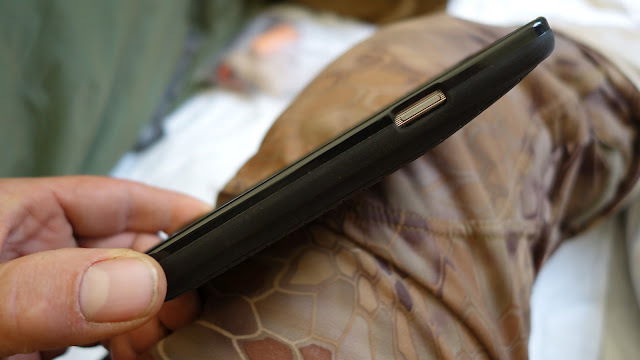 The Note 3 has a 3200 mAh battery from the factory which when used appropriately lasts me 2 to 3 days of back country use. Enter the PowerBear, which is an extended battery for the Note 3. This is a larger batter that fits the Note 3 with an new back cover. The bigger battery and the replacement back cover do not egregiously increase the size of the device. The battery is a 7200mAh, effectively more than doubling the capacity of the stock battery. 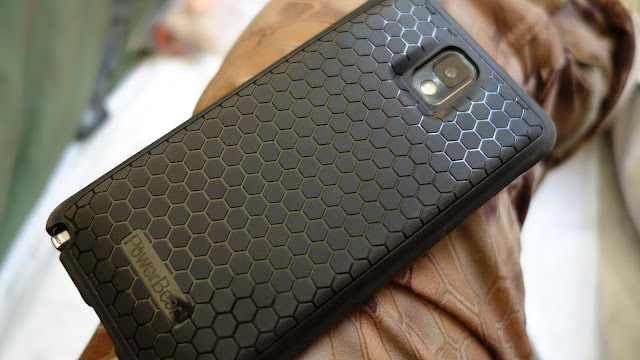 The cover also adds some durability to the device. I should also point out that the Note 3, along with the option of additional memory via external card, it was or is also the last Android device with replaceable batteries. This means that you can swap batteries in the field. The standard batteries are cheap and lightweight, so with one in the device and another or two in your pack you'd be good for an extended period of time. Incidentally, I'm sure there are/were reasons to move away from removeable storage and batteries but I can't fathom it. These two features were key to me being willing to adapt a smart device for full time GPS backcountry use. I digress, on to other benefits. Because of the amount of storage the device has I also went down the path of adding other resources. With my Prime membership and Kindle use I was able to add hundreds of titles, everything from knowledge based resources like Edible Plants of the rocky Mountains to First Aid Manuals, Bushcraft books, and so on. There's no way one could carry all the resource and reference materials in printed form, having them on the device is incredible. 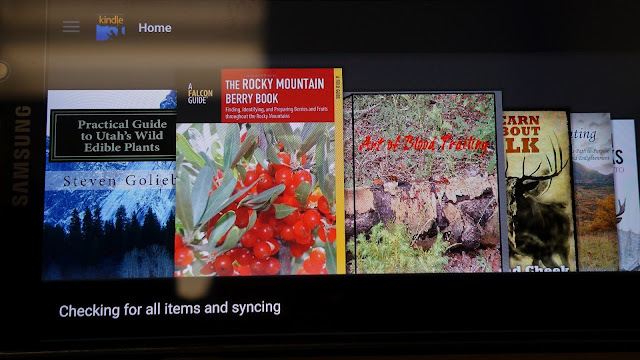 If I want to look at images of medicinal plants or tree identification or figuring out if that berry is what I think it is, all these things I can do because all of these materials are stored on the device. A full library of reference materials at my finger tips. Finally, I besides a GoPro I use Sony cameras, all of which are Playmemories compatible cameras. The service allows me to control my cameras remotely with nearly the full feature suite of the cameras available through the Note 3. It allows me to store images on both, the device and the camera, enables other features like Time Lapse, and lets me take pictures for 3rd person images. I don't always have someone with me and using the 2 to 10 second delay doesn't always work. 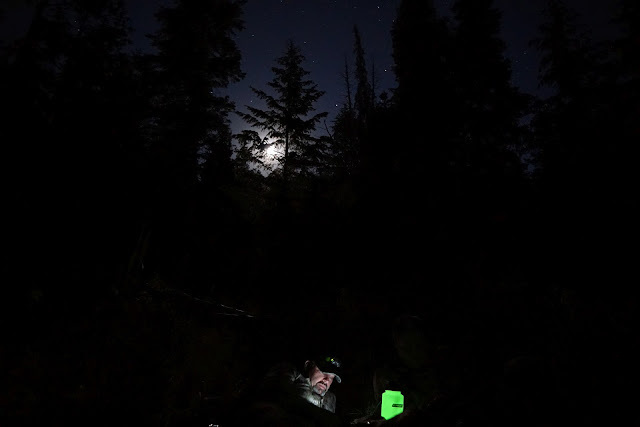 So between improved mapping software, more robust backcountry GPS functionality, improved battery life, nearly on par durability coupled with the additional benefits of the smart device storing reference materials as well as controlling my cameras, it was really a no brainer in the end. I'm afraid that if the dedicated GPS device manufacturers do not innovate they're going to find themselves in the dustbin of cool but obsolete devices. Nice write up. Any chance that Note 3 is going to help you find your way to Tekemah in late October? It's on the to do list my friend. 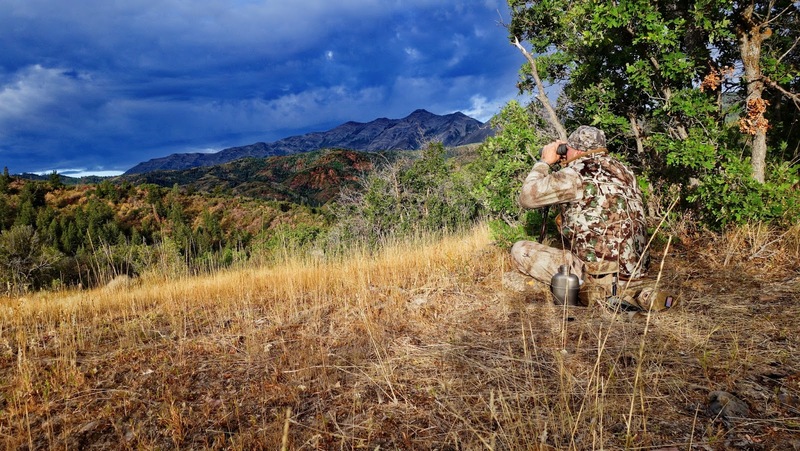 Largely going to be decided by whether or not there is elk in my freezer! 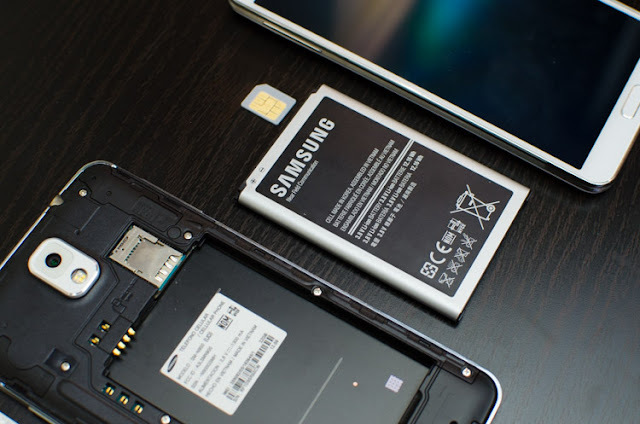 All Samsung/Android devices still have removable batteries and storage. Non-removable/inconvenient is primarily and Apple trait;) Question though; With moving away from a true GPS to a phone, arent you worried about losing cell towers and therefore losing your location? GPS location goes off of satellites, phones location goes off of towers. I get sketched out using my phone to navigate on back country roads let alone in the woods. You are right though, unbeatable in the storage of knowledge, maps, etc. Btw Ive been reading your posts for a few years now, great stuff! All samsung/android devices DO NOT still have removable batteries and storage. The devices use GPS and cell, but operate just fine on GPS only. I run mine in airplane mode all the time, no cell service anyway. Look into the device you have, there are several settings within the GPS functionality. It is incorrect to state GPS goes off satellites and phones location off cell towers, that's simply not true. Are you able to use caltopo maps you create on the website? From my experience you can only use the caltopo maps as like a baselayer in backcountry navigator. I have lots on info on my caltopo account, but I can't figure out how to get this information into the backcountry navigator app.